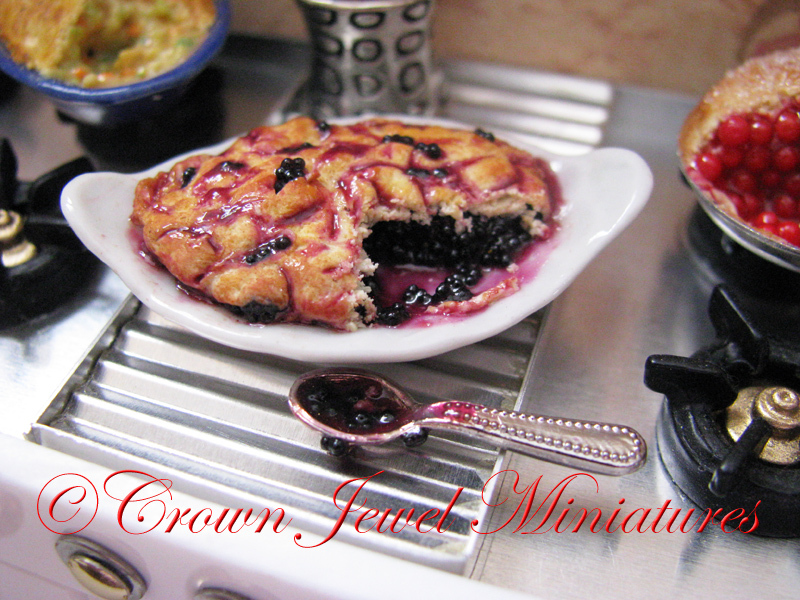 Grab some flour and sugar and let’s make something berry delicious! 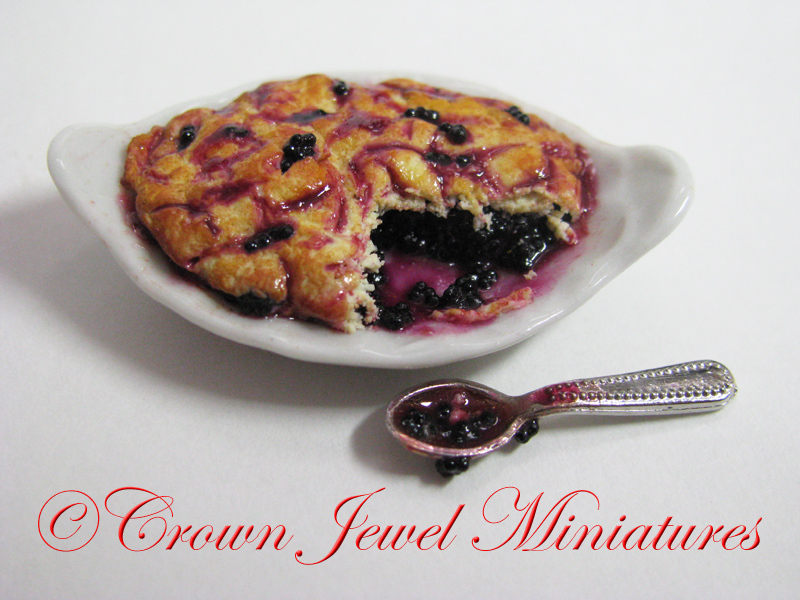 We have a bumper crop of summer berries here in New England and they’re on their way from the mini farm to your dollhouse table! 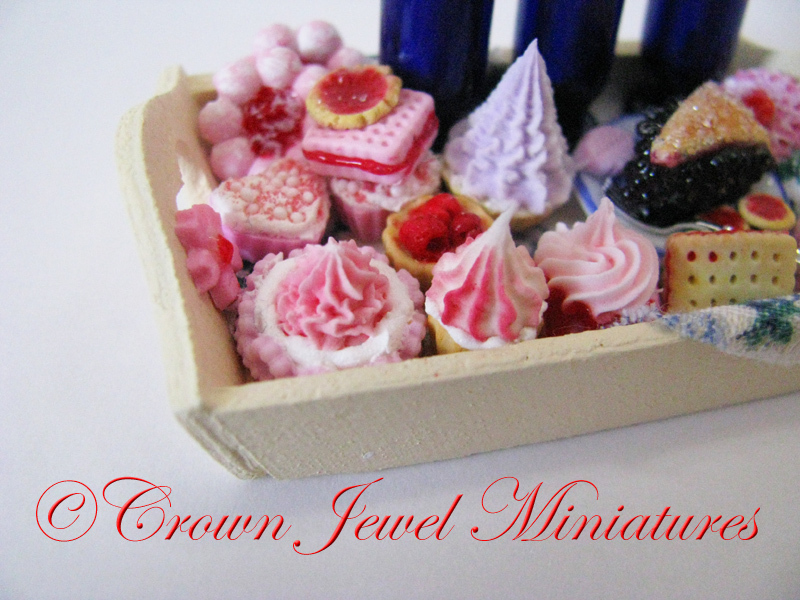 Take a handful of blueberries, raspberries, blackberries, strawberries, add a few cherries for good measure, mix it all up with a little chalk, glue and mini magic and what do you get? 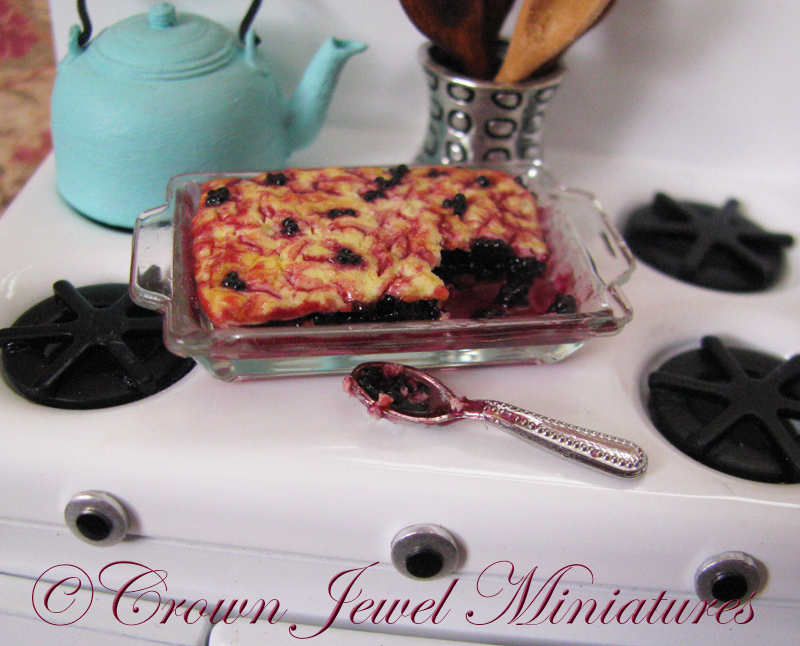 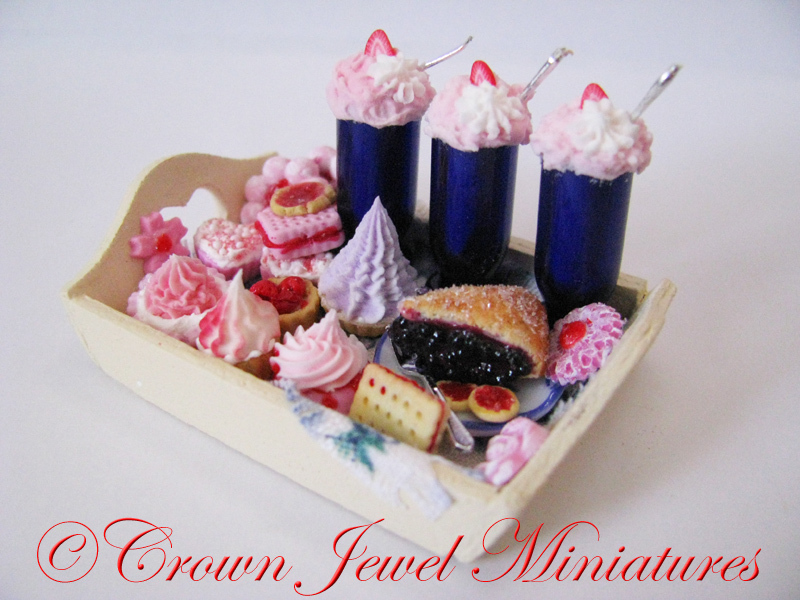 Berry dessert trays, berry pies, berry cobbler and an extra helping of hyper realism for your dollhouse. 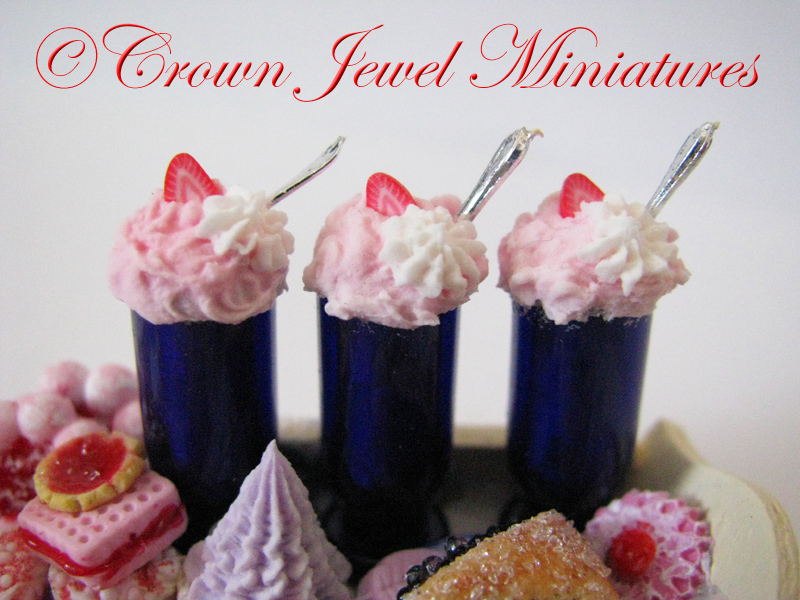 It was a berry fun week here in the CJM Imaginarium and I made a few goodies so grab your mini spoon, pass the whipped cream and enjoy!